If you aren’t up to date with the latest catwalk trends, then allow us to fill you in! With Spring soon approaching are going brighter and bolder than ever. Gorgeous glitter and rainbow colour makeup was seen across the shows from Fendi to DKNY. 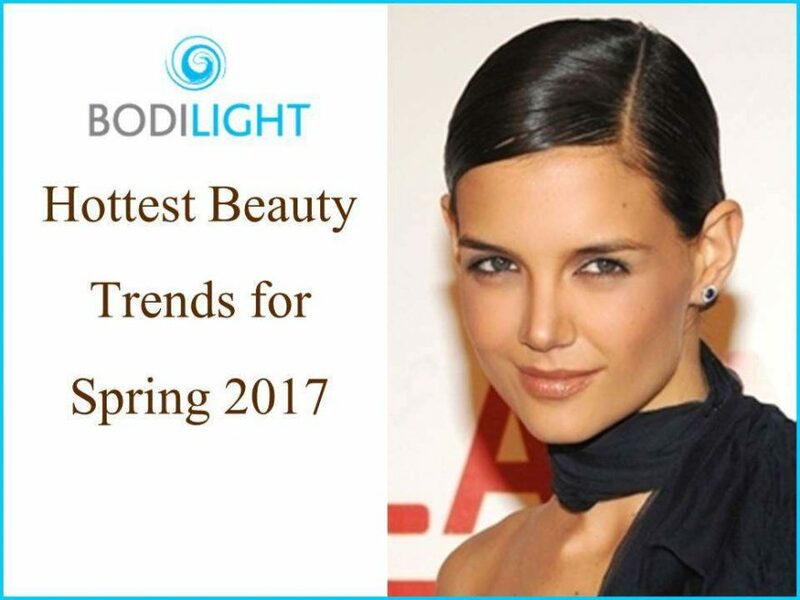 Here we outline the best of the beauty trends to follow. Wearing your blush high up on your cheeks and at the sides of your eyes is the new way of “contouring.” A rosy glow was seen across all the catwalks. Using lipsticks is a great way of creating a warm blush. Make up with dual function is the way forward. Keep it high on the cheekbones and a soft sweep across the eyelids. Every colour across of the rainbow has been seen on the runways. It’s all about clean skin with a bold splash of colour. Strong eyes and luscious lips creates the this striking trend. Even eyebrows have been seen in lilac, peach and white. Lips have been painted bright orange, pink and red and eyelids in everything from mushroom purple to glossy aquamarine. Dare to try it? Sounds like fun to me! The new take on the classic smoky eye is now the smudgy eye. Using eye gloss over your black eye liner creates the smudge effect. The look is that “late night, early morning” feel. Orange eye gloss will give you a softer look and for added shimmer you can dust bronze glitter over your foundation as glitter reflects bronze beautifully. Shimmer and sparkle is to be seen everywhere on the catwalk. From dramatic glittery lips to glittery cuticles a big trend in nails. Metallic eye makeup is in and can be blended with a creamy gold eye pencil for a sophisticated look. Complete with sheer red lip gloss for a polished look. So not only does our skin have to sparkle, but now our hair has to shimmer too. Hairstyles slicked down with tubes of gel, giving sleek, smooth hair that shines. Flyaway hair will not escape and the volume will be turned right down. Everything from negative space nail painting, free forming abstract designs, glitter around the cuticles, the new French look, minimal cubist nail art and candy coloured manicures are in. You can go crazy with designs and colours. Treat yourself to a fresh, new nail design created by our skilled nail technicians at Bodilight. The 80’s is back better than ever. Shoulder pads, ruffles and sleek side ponytails are all over the runway. Keep the look fresh with light foundation and bright blush applied high on the cheekbones, a technique known as “draping.” Just stay clear of the hair spray! So start getting ready for Spring. The time is coming soon to reveal a bit more flesh. Don’t forget your feet might need a bit of TLC after been stuffed away in shoes or boots all winter. Pretty toes are just as important as well kept finger nails. Give your pale wintered skin a healthy glow with a natural looking spray tan and make sure those legs are waxed ready to face the world. Alternatively, take the plunge and go for laser hair removal. Trust me you will never look back once it’s done. I recently took the plunge and wish I had done it years ago. Contact Bodilight to book any one of these treatments and come rain or shine you will come out feeling like you’ve had a much needed pampering.